The last thing most people want to think about is their HVAC system. 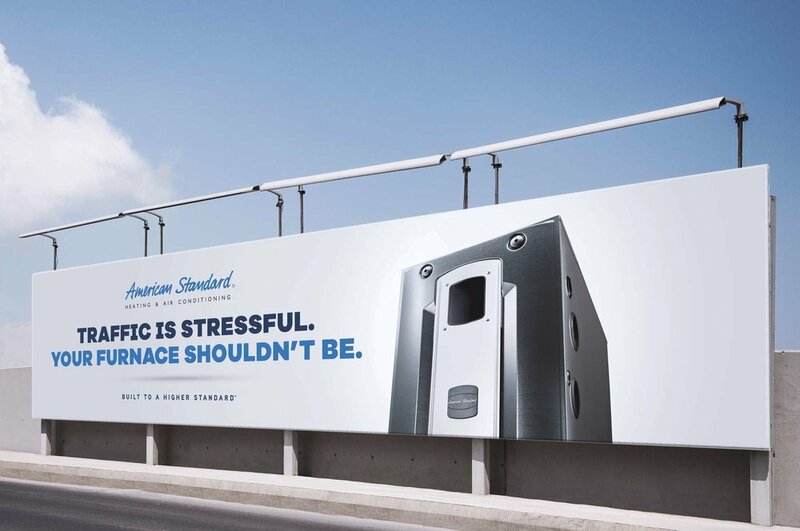 With American Standard, they don’t have to. That’s because American Standard manufactures the most reliable, most drama-free systems out there. So its owners never have to worry about the AC going bust or the heat giving out. The “Built to a Higher Standard” campaign showcases this dependability. Radio and video spots illustrate all the other problems owners can focus on instead of their heating and cooling, while print and display materials highlight the simple truth that the best HVAC system is the one you never notice.